This course is ideal for those seeking to start a business or currently working in management roles who are seeking a formal qualification to enhance and confirm their existing experience. Mentor Education's Diploma of Business (BSB50215) is a nationally recognised qualification that will equip you to undertake business and management roles. We recognise that employers are increasingly looking for candidates who are aware of the challenges of being a successful business person. Often a candidate's Qualification is the only evidence that they possess the technical skills and knowledge requirements to conduct themselves professionally as an authorised representative. 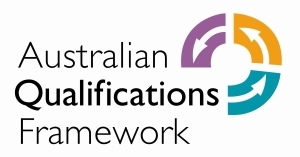 Mentor Education's Diploma of Business (BSB50215) is a nationally recognised qualification, complying with the AQF standard and ASQA standards for Registered Training Organisations. Mentor Education's Diploma of Business (BSB50215) is suitable for innovative individuals seeking to start a business or currently in industry in a management role, looking to validate their existing skills and knowledge with a formal qualification. It is also suitable for those seeking to enter the industry in a business role in the future. It is expected that students will complete this course within an 24-month period. Students who have extensive industry experience should expect to complete the Diploma of Business course in a shorter time period. Students considering further studies after completing the Diploma of Business qualification have the option of gaining a direct pathway into higher education. Visit https://mentor.edu.au/career-pathway for further information. Mentor Education's Diploma of Business (BSB50215) is a great choice for individuals who are currently in a business roles, and those who are looking to break into business. If you want to graduate at the leading edge of this field with the skills and knowledge to get ahead in the industry, then this is the course for you.u.